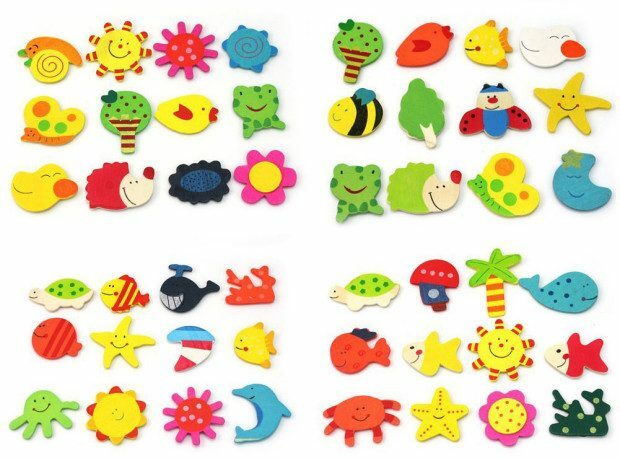 Set of 24 Wooden Animal Magnets Only $2.76 + FREE Shipping! You are here: Home / Great Deals / Amazon Deals / Set of 24 Wooden Animal Magnets Only $2.76 + FREE Shipping! How cute and fun are these magnets?! Right now, you can get this Set of 24 Wooden Animal Magnets for just $2.76 + FREE shipping! That’s just $0.11 per magnet! You can’t beat that price! Each pack contains 12 different shapes of wooden magnets.